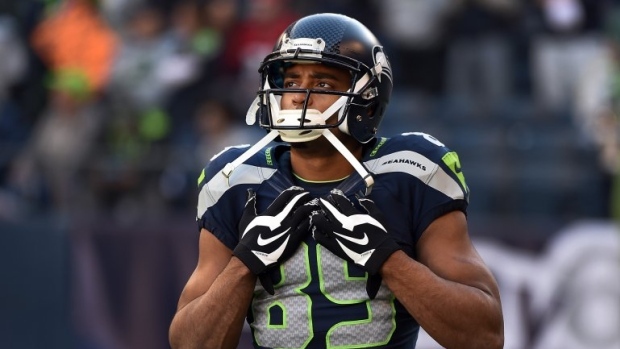 Seattle Seahawks wide receiver Doug Baldwin reportedly may potentially have a sports hernia injury. According to NFL Network's Mike Garafolo, Baldwin is slated to see noted muscle injury specialist Dr. William Meyers in Philadelphia in early April regarding the possible injury. As an early projection, Garafolo believes a sports hernia would keep Baldwin out for about six weeks. In terms of who Seattle could bring in to offset the potential loss of Baldwin, Garafolo mentions veteran Jermaine Kearse who spent the first five years of his career with the Seahawks. The 30-year-old Baldwin is entering his ninth season in the NFL. He has spent the entirety of his career with the Seahawks following being signed by the club as undrafted free agent in 2011.